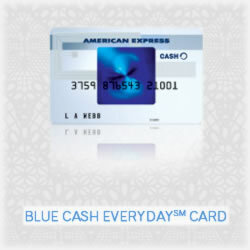 The American Express Blue Cash Card has arguably been one of the better credit cards on the market in recent years. It’s withstood the tough economy and has served as a golden American Express product that is equally as rewarding to those who carry it as those who choose other AMEX products. One look at rising oil prices, however, lets us know that all good things must come to an end. In this case, it’s the cash back American Express is now offering on fuel purchases. For those familiar with the Blue Cash card, American Express offered its users 1% cash back on common purchases, such as those we make on a daily basis in our neighborhood grocery stores and restaurants. Once your card hit a $6,500 balance, you were automatically bumped up to a 5% cash back status – including gas stations. That’s been a big boost for a more thrifty customer base who have watched helplessly as gas prices continue to rise, day after day. Now, though, American Express has opted to replace the traditional Blue Cash credit card with not one, but two, alternatives that might not offer that impressive 5% cash back every time you fill the tank, but that does come impressively close. This is one of the two cards that American Express has rolled out to replace its traditional Blue Card. It still has many of the same perks AMEX users have come to rely on, with the exception being instead of 5% cash back at gas stations, card users will be allowed 2% cash back. This card has no annual fees, making it worth the consideration – especially considering some AMEX cards have annual fees of up to $450. Also, anytime you use your Blue Cash Everyday Card at your supermarket, you’ll receive 3% cash back with the standard 1% on the rest of your “every day purchases.” This is still a great offer for those who have grown accustomed to their cash back rewards. To help its customers transition, American Express is offering a 0% intro APR for 12 months along with the option of flexibility so that you can pay over time. Another great perk, it’s offering a $25 referral bonus for any friend or family member you recommend and who is approved for the Blue Cash Everyday credit card. Similar to its Everyday counterpart, the Blue Cash Preferred offers 6% cash back at supermarkets and 3% cash back at gas stations and department stores. The rest of your purchases will receive a 1% cash back incentive. Unlike the Everyday card, the Preferred card has a $75 annual fee. That said, if you use your American Express to fill your tank, you can easily recoup that at the gas pump. Keep in mind, however, to qualify for the 3% cash back at the gas pump, you must have spent at least $6,500 on your American Express credit card. This particular card also offers the $25 referral bonus for anyone you recommend and who is approved. Both cards offer a strong incentive package and as credit card companies begin redefining their offers, there’s a good chance both of these cards can see some great new incentives for current and would-be customers. The Blue Cash Preferred also offers a 12 month 0% APR rate, making it a great choice for balance transfers. Further, both cards will allow users to earn rebates through the American Express program. No worries if your wallet contains the existing American Express Blue card; you can continue to use it, but the company will no longer market that program and depending on your credit rating, any subsequent AMEX cards receive as your current one expires will likely be based on your credit rating. Of course, the company encourages any customers with questions or concerns to contact its customer service team.